Its often a challenge to explain why sports anime are so exceedingly good and memorable. There are a few series every now and then, however, that just lay it all out there, oh so beautifully. 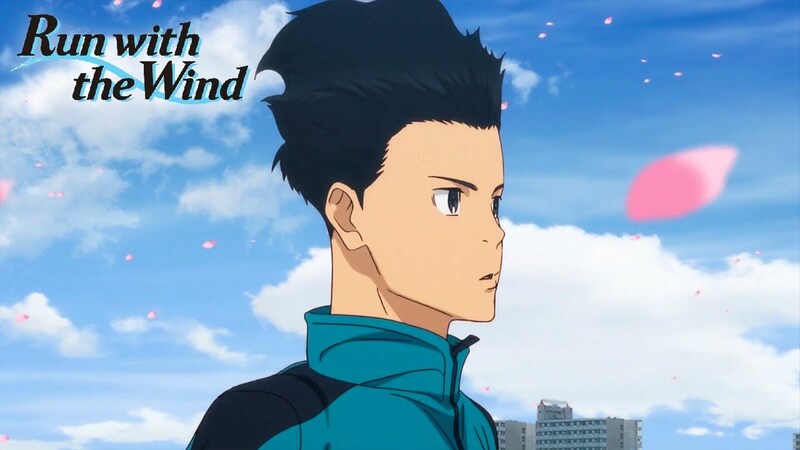 Run with the Wind, is the latest series to come out that I think really exemplifies why sports anime are so powerful and why the best of them, NEED to be experienced. Based on the novel of the same name by Shion Miura, Run with the Wind is Production I.G’s latest offering in a realm that they now seem to dominate (having produced Haikyuu for four season already). This series is directed by veteran Production I.G director Kazuya Nomura who’s had a history of contributing to and directing a lot of fan favorite anime series. Now, unlike other shows that Production I.G have done, Run with the Wind isn’t your typical sports shounen series. Instead of focusing on just the traditional route of a likable rash teenage protagonist that has a “dream” to achieve, Run with the Wind is what you’d call a seinen sports show. While the show doesn’t adapt the manga of the same name, it does feel and treat its story in a more mature, grounded fashion. The cast of characters in this show aren’t teenagers, but rather college students who’ve faced the realities of life and are not in the same hopeful place that some youths may be. The show isn’t concerned with some boyish dream of “being the best in the nation” but rather, like many other successful shows (Welcome to the Ballroom certainly comes to mind), the focus is put on both the actual idea of running and developing the world and the life of the characters that inhabit this series. 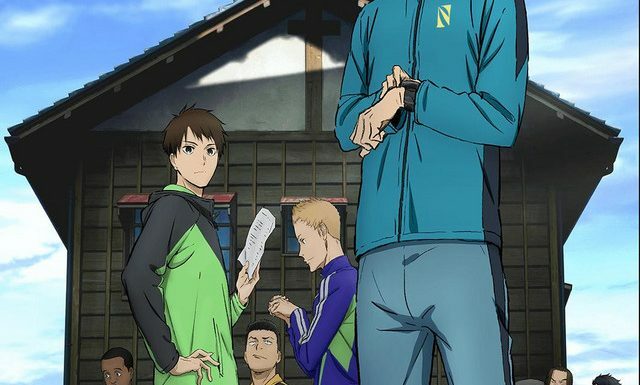 Indeed, Run with the Wind is equally interested in being a slice of life show, with the focus being on a group of college students that decide to run in one of the biggest Marathon competitions in Japan. And like any masterful, memorable novel story, Run with the Wind starts off slow, takes its time and immaculately builds up to what is an exhilarating finish. There’s a lot of depth and maturity on display in this show and its storytelling. The cast of the show is full of characters that are likable, but highly flawed. They run into issues and arguments that real people have undoubtedly had time and time again in the real world. This is most certainly a story that comes from real life experience, and it communicates the complexity of people coming together, sharing a common goal while also dealing with their own life issues and self growth. Run with the Wind isn’t a show that will actually appeal to everyone. Its really good, but its also very divisive. 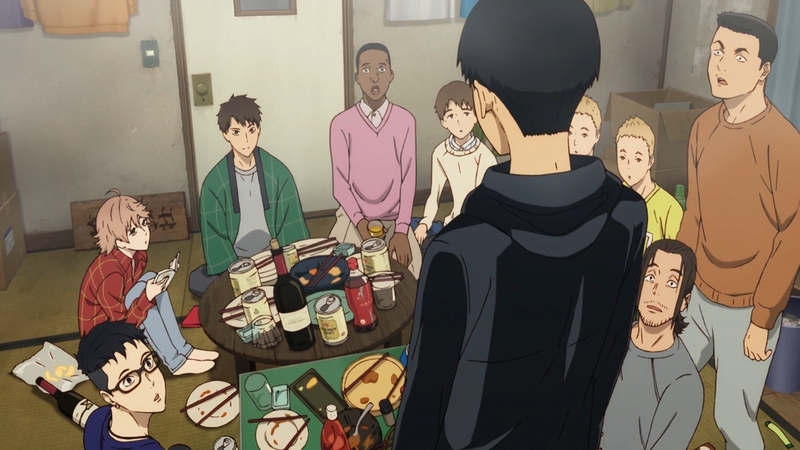 Much like other divisive shows like Your Life in April, Run with the Wind has a very unique and opinionated world view. Its a world view that not everyone will understand or subscribe to, and some may even actively recoil from. Indeed, while the show itself was airing, many people in the west not only dropped the show, but actively railed against some the ideas and the characters that this show presents as central and important. Again, I think Run with the Wind is a show that’s meant to be viewed with nuance and an open mind. Its a show that has a great amount of depth, and it weaves a story and a world that’s easy to get lost in. It also doesn’t shy away from some of the ugliness and the mistakes that certain people will make and face in College and in life. How you react to some of that, and whether you’re able to let it slide, will depend on how you yourself have experienced life and what your opinions on things are. Like some of the best shows I’ve had the pleasure of seeing, however, Run with the Wind is very powerful and very rewarding if it connects with you in the way it did for me. 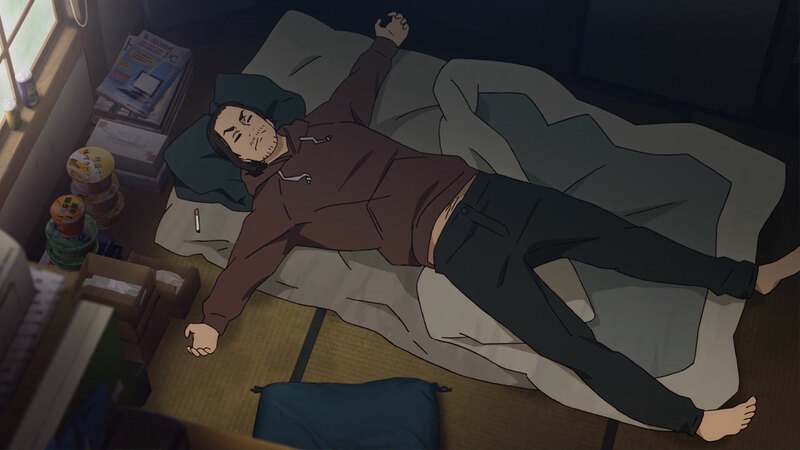 As someone who’s had a similar experience in College, of competing for something big and going through similar but very different trials and tribulations, Run with the Wind feels like a fascinating exploration of specific world that I’m not too familiar with “Running”, and that too through the unique cultural lens of Japan. 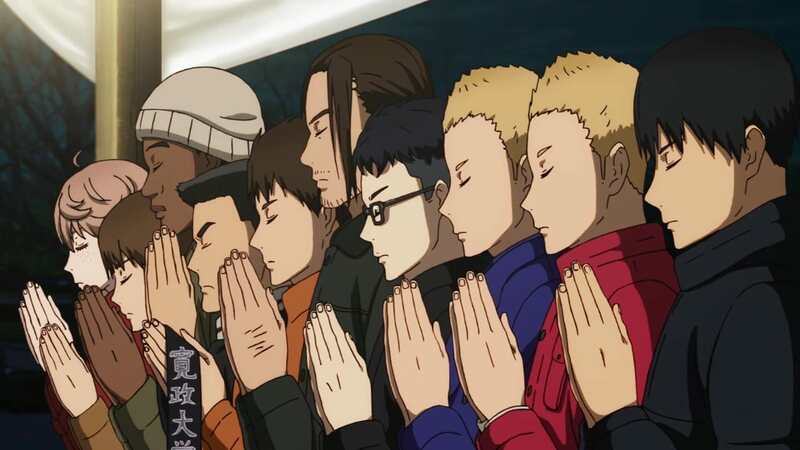 One of the biggest draws of Sports anime, is I think how it effectively communicates the love and passion of the sport its covering in a way that even those unfamiliar with said sport, can understand, appreciate and love. 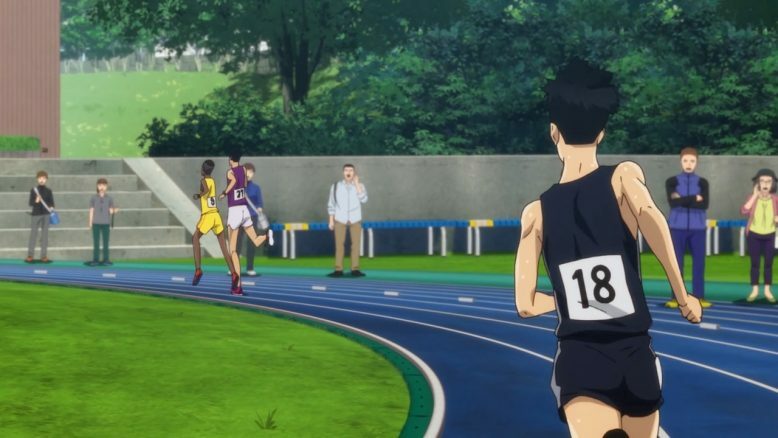 The truly effective sports anime will certainly go a step father and make you very curious and interested in the sport itself, and on that end, I’d say Run with the Wind definitely succeeds. The love of Running is ever present, and the show constantly balances that passion in its story, with realistic characters, their lives and what running means to each character. Which, incidentally, is another thing that makes Running with the Wind so special. 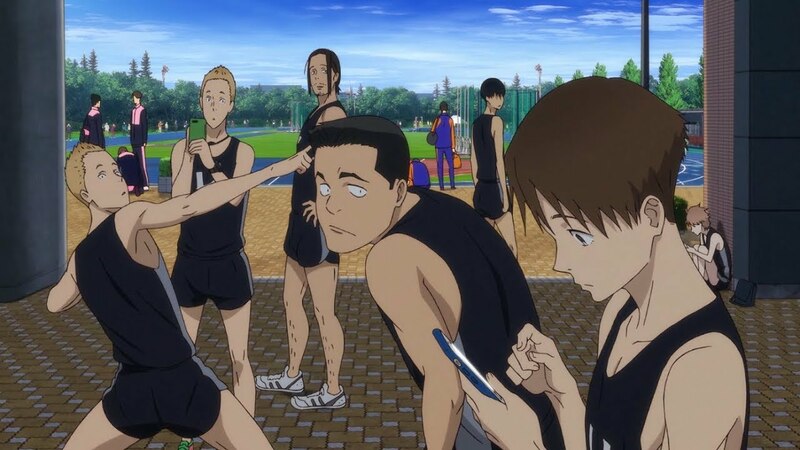 Run with the Wind features a team of Ten Runners, and amazingly, it does justice to and develops each one of them effectively throughout its 23 episode run. No one gets short changed, and no one character really eclipses anyone else. Which, in a sports show and with a cast as big as this one, is an amazing feat in itself. That balancing act of focusing on all the characters, building up the central conflict of the team wanting to run the Hakone Ekidden Race and providing some nice interpersonal moments is truly where production I.G, the show’s director and its production staff show their talents off. The pacing for the show is immaculate. Each episode feels jam packed with content, and yet there’s never a sense that something’s being cut out or that there’s something being glossed over. Which, in these days, is something rare to see, and not just in sports anime. A show with a very planned beginning, middle and end that all feel satisfying and different is something really celebrate. Add in Production I.G’s stellar animation and gorgeous visuals with the impressive musical score composed by Yuki Hayashi, and you have a recipe for an AMAZING and extremely memorable show. In fact, I’d go as far as to say that this show and this kind of story has no business being as good looking, good sounding and expertly produced as it is. Production I.G just don’t do contemplative, slow, thoughtful and methodical slice of life sports shows like this. They do sci-fi, they do shounen and basically anything that’s more blockbuster like than elegant and deep. That’s not a knock against this show or Production I.G As a studio, its simply praising both for being the way they are. 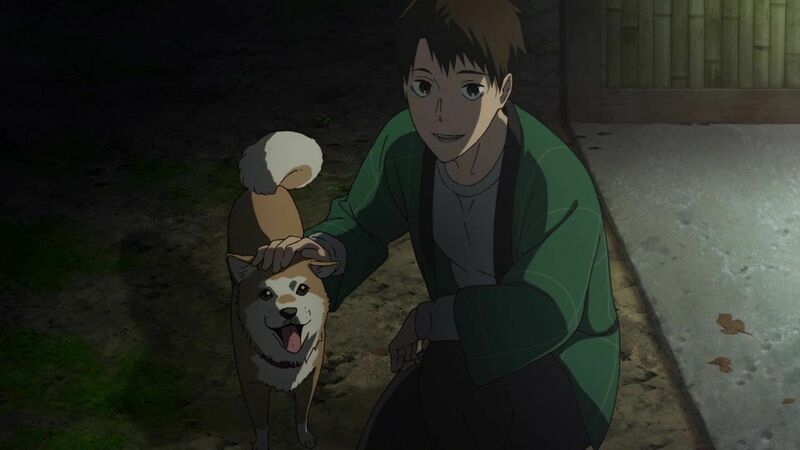 It says something about Production I.G, the production committee that funded this show and Japan as a country where they will dedicate such enormous effort and resources to a story that on paper, will probably not appeal to a massive audience. Run with the Wind is very much a prestige piece, and even in that realm, its sure to have a bunch of detractors. None of that, however, takes a way from the expert display of the mastery of skill, storytelling and effort on display here. 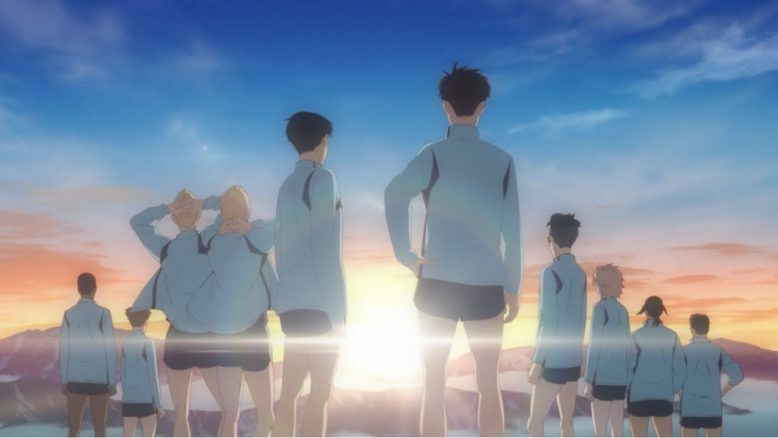 Run with the Wind is one of 2018-2019’s best anime series, and its certianly one of the most unique, deep and memorable sports series period. If you’re interested in deep stories that explore something truly unique and unheard of, and you’ve enjoyed stories like Your Life in April, The Great Passage and Welcome to the Ballroom, then this show will most certainly appeal to and reward you. It gets a much deserved A+.